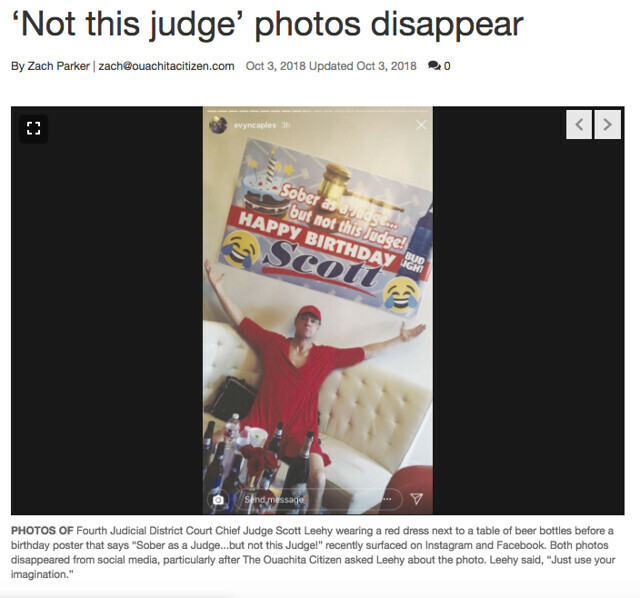 Fourth Judicial District Court Chief Judge Scott Leehy would not disclose the meaning of recent photos that surfaced on social media of him wearing a red dress by a table of open beer bottles and a poster that bragged about his state of inebriation. In one photo, Leehy, 56, is next to a poster wishing him a happy birthday. 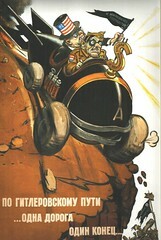 The poster refers to Leehy by his first name. The Bud Light poster also displays the phrase, “Sober as a judge…but not this judge!” In another photo, Leehy is seated beneath the Bud Light poster with his arms outstretched. Leehy’s birthday was Aug. 11, the same day on which the Red Dress Run was held in New Orleans. The annual Red Dress Run is organized by the New Orleans Hash House Harriers as a charity run through the French Quarter. The Hash House Harriers touts itself as a “Drinking Club with a Running Problem.” The Hash House Harriers’ motto alludes to the practice of “hashing,” which involves running or walking while drinking alcohol. During the charity run, participants —including men — wear red dresses and other clothing items normally worn by women. Well, you can read the rest. Seems pretty clear to me this is self-inflicted damage by a Hash House Harrier, trapped in the “drinking club with a running problem” mindset. It’s not the first time an adult with a lot to lose has been tarred with self-incriminating hash photos, either. Hashing has a great history, one we all used to know, take pride in, and share with new hashers. Red Dress Runs ditto, especially the charities RDRs support. But what side of hashing do we present to the public? The debauchery. The drinking. 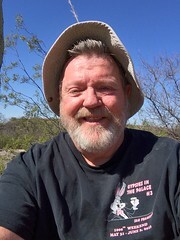 The Brett Kavanaugh stuff, and if you think people have a low opinion of our new frat boy Supreme Court justice, consider what they think of Hash House Harriers and hashing.